Freddy goes flying and learns an important lesson about flying with a nut allergy. Freddy and Nutmeg are having great fun watching planes taking off when Nutmeg’s curiosity leads her to accidentally boarding a plane and taking off, Freddy learns some important lessons about how to keep safe when travelling with a severe allergy. Freddy goes flying and learns an important lesson about flying with a nut allergy. Freddy and Nutmeg are having great fun watching planes taking off. 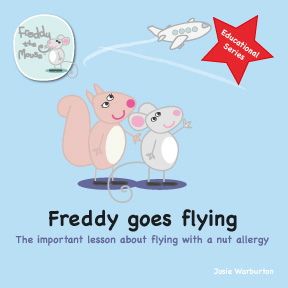 When Nutmeg’s curiosity leads her to accidentally boarding a plane and taking off, Freddy learns some important lessons about how to keep safe when travelling with a severe allergy. 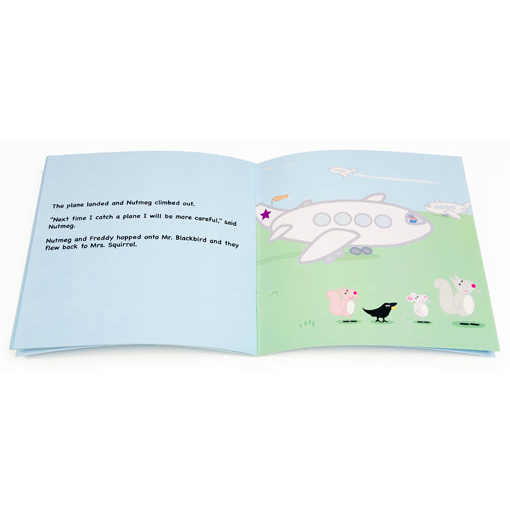 Beautifully illustrated book and an excellent way to educate young children on flying safely with allergies. Aimed at children up to about 6 years of age. This is a lovely little story that explains the importance of always bringing your allergy medication with you. 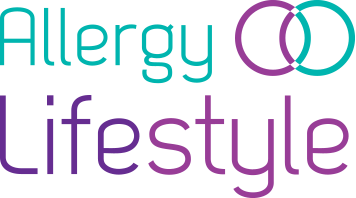 It is explain in a way that would help a child understand the importance of their allergy medicine. It would also be a great story a teacher could read in class to help friends and classmates understand about bringing your allergy medicine with you.